Dean is a Consultant Lecturer at Victoria University and Principle Consultant for the Wax Consulting Group. Dean brings to the Board an abundance of global economic and business knowledge. 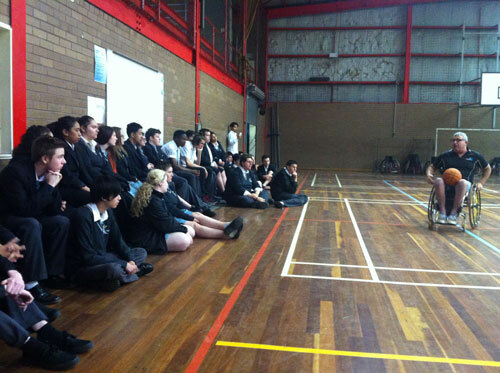 Tina has represented Australia in wheelchair basketball at three Paralympic Games and three world cups. She has been involved in the development of the National Women’s Wheelchair Basketball League since 2000 and has represented the players on the League Advisory Committee. Jeremy has been a member of Disability Sport and Recreation for nearly 20 years, a Director for 12 years and Chair for the past 7 years. Jeremy has a wealth of experience in management system assessment and has worked professionally as auditor and consultant for Davis Langdon since 1992. He is a member of RAB-Quality Society of Australia, a Fellow of the Australian Institute of Building and Director of Independence Australia. Gabrielle is a Project Manager in the Office of the Vice Chancellor, University of Melbourne. She has worked as an advisor at Office of the Hon Alan Griffin MP and an associate lawyer with Baker & McKenzie. Stuart competed as part of the Australian men’s wheelchair basketball team at the 1988 Seoul, 1992 Barcelona and 1996 Atlanta Paralympics. He won a gold medal at the Atlanta Paralympics for which he received a Medal of the Order of Australia. Stuart has been a practicing solicitor for over 10 years and currently works for the Financial Ombudsman Service. Greg brings to the Board a strong sport and event management focus. He has represented Australia at multiple international sporting events as a Coach or Team Official. 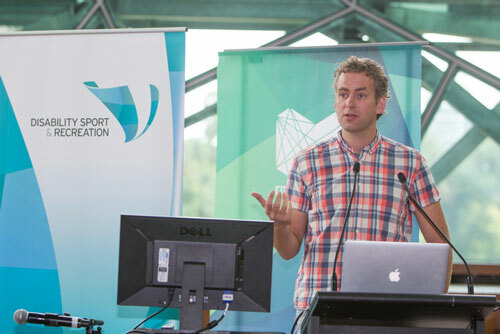 Greg worked as the Program Manager, Sport Services for the Melbourne 2006 Commonwealth Games and FINA 2007 World Swimming Championships. He was the General Manager for the 2009 Australian Paralympic Youth Games prior to taking up his current role as Head of Sport for the Glasgow 2014 Commonwealth Games. Nora’s research focuses on how to improve the health and wellbeing of people with disability through engagement in physical activity and exercise. She has received a number of research awards including the Community Research Prize from the Australasian Academy of Cerebral Palsy and Developmental Medicine and has a strong track record in research publications, engagement, knowledge translation and research higher degrees student supervision. She is currently a chief investigator on a NHMRC funded collaborative research translation project involving five health services across four Australian states aimed at increasing the uptake of evidence based practice among clinicians working with people with disabilities. Robin recently retired after 23 years with the international engineering consultancy firm of GHD prior to which he worked for the Victorian Government. He has established a specialist consultancy in International Development and is looking forward to assisting organisations and communities in less developed countries, by drawing on his over 40 years of professional and international experience. Andrew has worked in a variety of Senior Operations and HR roles for some of the country’s leading recruitment agencies, bringing superior people management skills and motivational tools to the team. Currently Andrew works as the Regional Manager of Human Resources for Boral in Victoria. Russell is a registered General and Psychiatric Nurse, retired Naval Officer, former Vice President of Elwood R.S.L and Treasurer of Sailability Victoria. 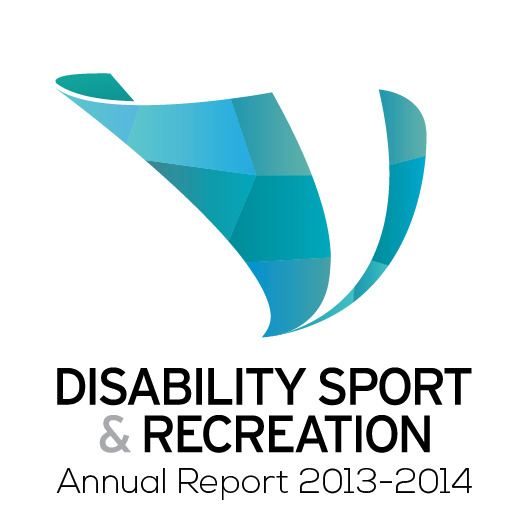 Russell has been a member of Disability Sport and Recreation since 1978. New Disability Sport & Recreation members stay physically active at nearly twice the rate of other Victorians with a disability. We recognise and are deeply appreciative of the generous support we receive from individual donors, families, businesses, trusts, foundations, community groups and organisations. It gives us great pleasure to acknowledge these contributions and the ongoing support of the community. Majorie Cooper Estate & Thornton Davies Pty. Ltd.
We run programs that vary massively in their reach. Programs like WheelTalk enjoy over 20,000 participants while our Summer and Winter Camps are restricted to only a lucky few. With your continued support, we hope to be able to raise the participation levels for all of our programs. Delivered to primary and secondary schools, councils, businesses, scouts, and sporting groups. This powerful, engaging program raises disability awareness, educates people about disability statistics and increases our reach within the community. In the last financial year, WheelTalk was presented in 483 institutions. Thanks to Group Training Association of Victoria for their support of this program. Delivered to health professionals in a clinical setting, this newly updated education program provides detailed information about active sport and recreation opportunities for people with disability. Thanks to Henry Carus and Associates, Coloplast and InTouch for their support of this program. 87.50% of the allied health professionals stated they will apply what they had learned during the Rehabilitation to Recreation session to their practices. 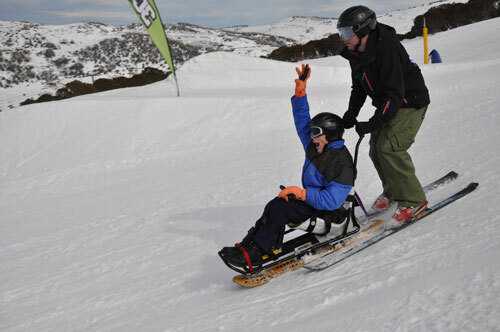 Delivered in metropolitan and regional settings, the What’s Out There Day introduces participants to local Disability Sport & Recreation members, community groups, State Sporting Associations and Disability Sports Organisations, and gives people an opportunity to try adaptive sporting equipment. This year, WOT Days were held at the Health Scope Expo, Foundation 97, The Daily Living Expo and Vic Rehab. 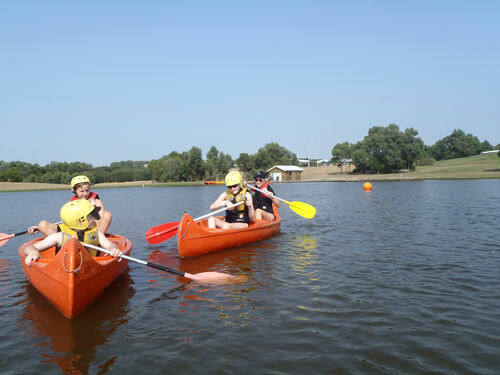 Working in partnership with the Victorian Paediatric Rehabilitation Service and supported by State Sporting Associations, this exciting new program is having positive impact on young people with disability. The program aims to inspire young people to stay active by introducing them to sport and recreation in a safe and supportive environment while they are still in hospital. Parents and carers are shown the options available to their children and how to keep them connected to healthy physical activity. DSR Kids has driven membership and participation, but most importantly has increased awareness. Currently running at the Royal Children’s Hospital, we are bringing DSR Kids to the Monash Children’s Hospital in 2015. Thanks to Victorian Paediatric Rehabilitation Service, Swimming Victoria, Basketball Victoria, Netball Victoria, BJ’s Dance Studio, Gymnastics Victoria and the Brunton family for their support. These enormously popular camps open young people’s eyes to the world of opportunity that is sport and recreation. The winter camp was in July 2013 at Falls Creek and the summer camp, in February 2014, was on Phillip Island. Participants reported an increased sense of independence, and parents have all have expressed interest in further involvement. Everyone can’t wait for next year’s camps. Thanks to Disabled Winters Sports Australia for their support. This pilot program used sport and recreation as a tool to improve employment, health and education outcomes in young Victorians with disability. At the conclusion of the pilot at the Ballarat Special Development School, all twelve students from year 12 had successfully registered and linked to local disability employment agency, 9 of them had attained either employment, or an apprenticeship or training program opportunity and the others had interviews and volunteer opportunities planned. Thanks to Gandel Philanthropy for their support. Every year our library of adaptive sporting equipment grows, giving more people the opportunity to try a new sport or recreational activity. Our low-cost, affordable rental scheme helps remove the financial barrier to participation. 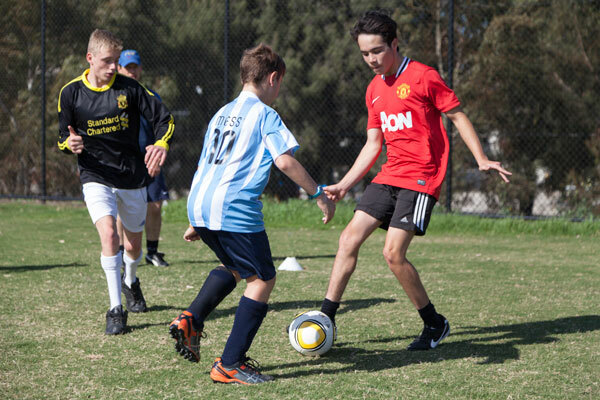 In its fifth year, this program was developed and is run in partnership with Northcote City Football Club (NCFC). 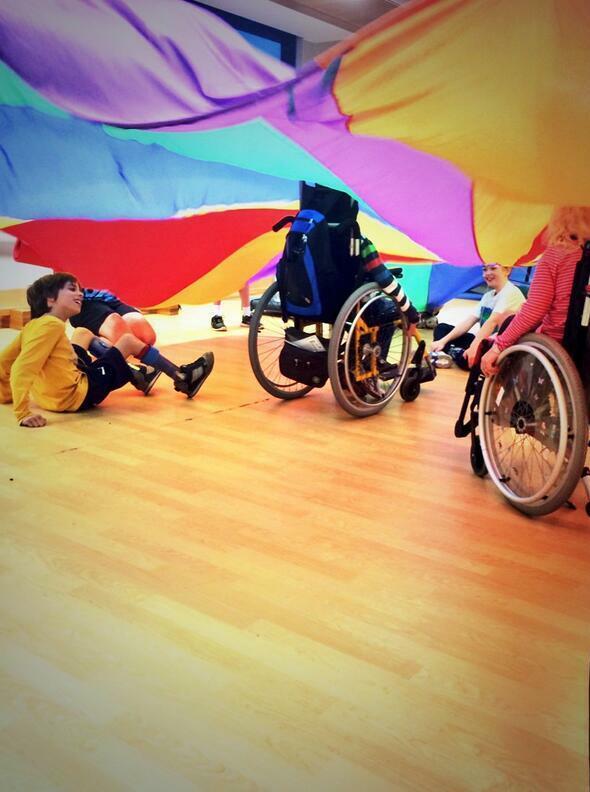 The aim is to offer a supportive environment for players with cerebral palsy, acquired brain injury or have experience stroke to learn the sport. They can then integrate into their local clubs, or continue playing friendly games with NCFC and other disability football teams. We also manage the state 7-a-side team, coordinating training and the Victorian team selection for the national championships, who made it to the bronze medal playoff against South Australia. Thanks to Northcote City Football Club, Melbourne City Football Club, Madison Sports, Reagan Milstein Foundation, and Sport and Recreation Victoria for their support of 7-a-side football. 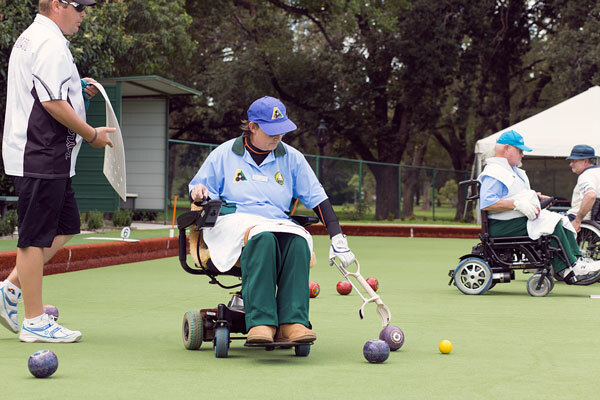 Over the last financial year, our lawn bowls program has seen the most significant growth in participation numbers out of all the sport and recreation activities we run. Once a month, at the Fitzroy Victoria Bowls Club, we run training sessions for people to work on their technique and develop skills they can take back to their local club competitions. 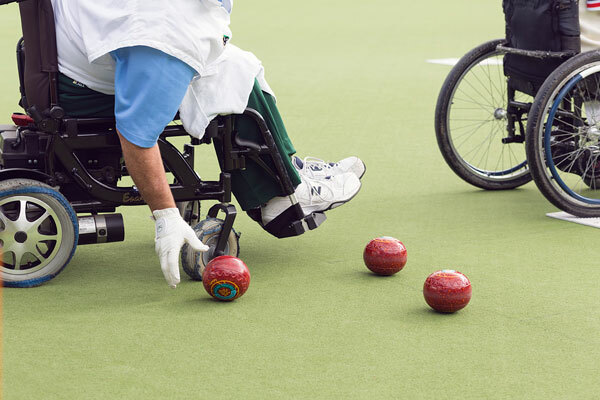 We also manage the logistics for the state lawn bowls team that competes in the national championships. For more than 20 years, we have coordinated the fast and furious game, sometimes known as murder ball, in Victoria. 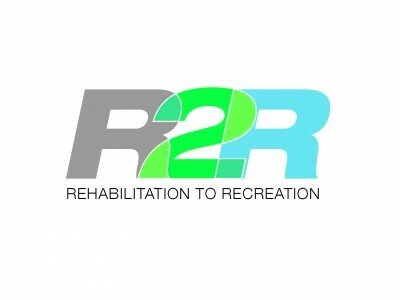 In early 2014, we developed an introduction program in partnership with Royal Talbot Rehabilitation Centre to provide inpatients with a newly acquired disability the opportunity to see and experience the sports available to them. Alongside this program, we introduced a specialist coaching program where players receive one-on-one training to further develop their skills. The Protect Victoria Wheelchair Rugby League is the state’s competition, from where we select the best players to train on the Victorian squad for the national championship. There are currently nine Victorians on the Australian Steelers squad, who all trained with us. Thanks to Protect, Madison Sports, Australian Paralympic Committee, Royal Talbot Rehabilitation Centre, Disability Sport Australia, Southern Grampians Shire Council, and Sport and Recreation Victoria for their support of wheelchair rugby in Victoria. 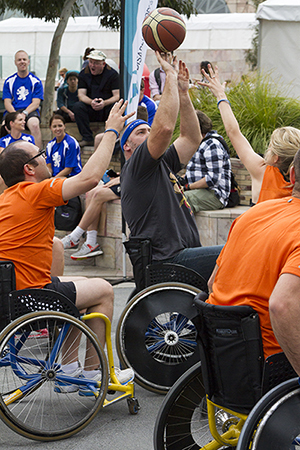 We hosted our fourth annual Disability Sport & Recreation Festival to celebrate International Day of People with Disability on 3 December, at Federation Square. An estimated 20,680 visitors to the Festival enjoyed the 16 come-and-try activities on offer from the 37 exhibitors. 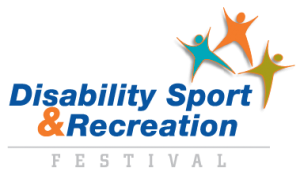 Part of the festival, our mini-conference, Scoring the Equaliser, had 116 registrations from across the sporting, health and disability sectors. Eight teams took part in our annual Corporate Wheelchair Basketball Challenge, which was opened by the Hon. Mary Wooldridge, Minister for Mental Health and Minister for Community Services, and Minister for Disability Services and Reform. Stride Sports Management beat Victoria Police in the friendly final. Thanks to Federation Square, Slater & Gordon, City of Melbourne, State Government Victoria (Office for Disability), Photography by Design, City West Water, Lumi Media and Semcore for their support of the festival. 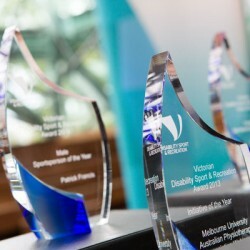 Every year we acknowledge the outstanding work being done throughout the Victorian community to support people with disability to take part in sport and recreation, and celebrate those whose commitment and dedication enhance the reputation of their chosen sport. These award winners are role models, leaders and advocates. Thanks to the Carbine Club for their support of our annual awards. Since its inception in 2011, CyclePower has set a positive example of the benefits of sport and recreation for all people of all abilities. This community development and fundraising initiative has an international focus, raising money for communities in Fiji, Cambodia and Vietnam. The 2014 trip saw 20 Victorians with and without disability take on a challenging but rewarding 600km ride across Thailand’s mountains and beaches, visiting Phuket Punyanukul School along the way to donate sports equipment and general supplies. 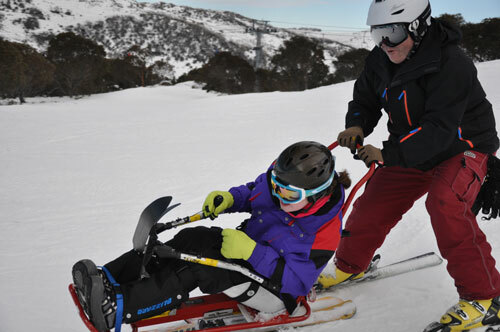 We received seed funding from The Alfred Felton Bequest and Collie Foundation for a new program to engage young Victorians with disability in sport and recreation. 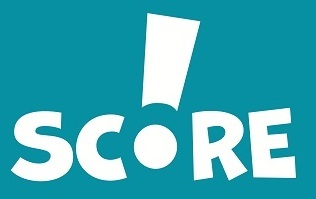 The grant supports inclusive, accessible sport and recreation service delivery through a new accreditation program called “Top Score”. In September 2013, we hosted our first webinar with the Australian Physiotherapy Association, Changing lives: What physiotherapists should know about disability sport. The webinar aimed to improve the knowledge and awareness among physiotherapists about the disability sport and recreation sector, and the biopsychosocial benefits of participation for people with disability. Over 1000 APA members registered for the webinar and the feedback was overwhelmingly positive. We will host our next webinar in December 2014. Our reach is Victoria-wide, with more 80 organisations and 1500 individual members across the state. Our unique, person-centred approach is pivotal to Victorians with disability successfully navigating a complex sector. We strongly influence public and private health, education, and sport and recreation. 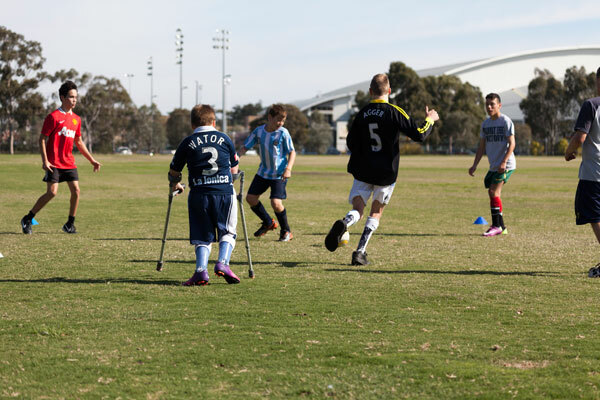 We voiced our concerns and ideas to government to address systemic and policy changes that would create supportive environments for Victorians with disability to take part in sport and recreation. We believe health is a basic human right to which everyone is entitled. Taking part in sport and recreation connects us, motivates us, and keeps us healthy. 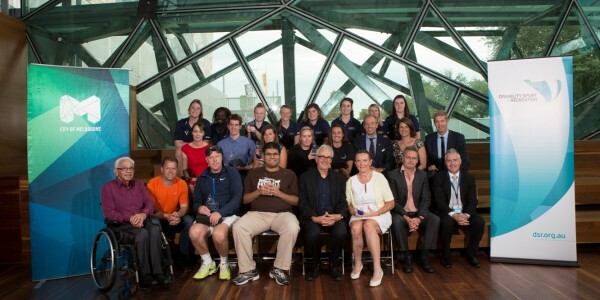 Help continue our work making sport and recreation a real option for Victorians with disability. Please make a donation today. Call our fundraising team on (03) 9473 0100 or visit our website. ABN: 90 355 463 684.